LONDON (March, 28) – THE RING magazine’s ‘Fighter of the Year’ Adonis ‘Superman’ Stevenson will be out to display his superhero power when he takes on Andrzej Fonfara live and exclusive on BoxNation. The WBC light-heavyweight world champion who enjoyed a scintillating 2013, has earned a reputation as one of boxing’s most formidable punchers, with BoxNation viewers getting the chance to see the knockout artist live in action on May 24th. ‘The Channel of Champions’ is pulling no punches when it comes to adding the very best boxing action to its schedule having already confirmed a number of top fights to its roster including Floyd Mayweather and Manny Pacquiao’s respective ring returns. In Stevenson’s showdown, subscribers to the best dedicated boxing channel in the world will see the man who has blitzed his way past a host of leading names in the 175 pound division including Chad Dawson and Britain’s Tony Bellew. Up against 26-year-old Fonfara he faces a highly skilled foe, who, despite losing twice early on in his career has not tasted defeat in six years, racking up 25 victories in his 28 contests. The Polish born warrior, now residing in Chicago, is rated as number one in the rankings by the IBF and WBO, and number three by the WBC. 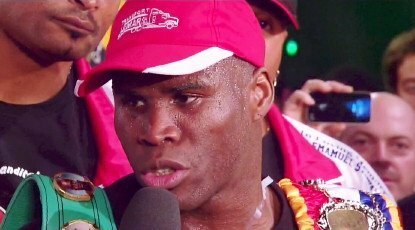 Stevenson has knocked out his last 10 opponents and will be looking to ensure his run continues when he does battle with Fonfara on BoxNation, live from Montreal. Other fights on the “COLLISION” card are set to be announced in the coming days. With a jam-packed April and May schedule coming up on BoxNation (Sky 437/490HD & Virgin 546), the channel offers fight fans a truly spectacular line-up of world class fights and is available for only £12 a month (plus a one-off registration fee).